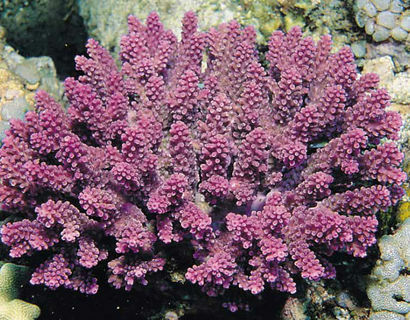 A Pacific Ocean coral species listed as threatened under the Endangered Species Act. A tenfold increase in the number of protected coral species was announced this week, with 20 new corals added to the list of threatened species. In total, 22 coral species are now classified as threatened under the Endangered Species Act. Two coral species were previously listed in 2006. Reef-building coral face severe threats from climate change, the National Oceanic and Atmospheric Administration (NOAA) said in a statement Wednesday (Aug. 27) announcing the new listings. Oceans are becoming warmer and more acidic, and coral diseases are causing mass die-offs. Other threats include pollution and overfishing in coral reef ecosystems. The newly added coral species are all found off the Atlantic and Gulf coasts or in U.S. territorial waters. None are from Hawaii. Fifteen are Pacific corals, from American Samoa, Guam, the Northern Mariana Islands and the Pacific Remote Islands National Monument. The other five are Caribbean corals found offshore of Florida, the Virgin Islands and Puerto Rico. The protected Caribbean corals include commonly recognized species such as pillar corals, boulder star corals and rough cactus corals. The Pacific corals include stony corals, staghorn corals and pore corals. The listings were sparked by a 2009 petition calling for more protection for coral species by the Center for Biological Diversity, an environmental group. In 2012, NOAA initially proposed to list 66 species: seven Pacific coral species as endangered and 52 as threatened, and in the Caribbean, five endangered and two threatened. The 20 species that made the final cut this week were listed after two years of assessment and public comment. Email Becky Oskin or follow her @beckyoskin. Follow us @livescience, Facebook &amp; Google+. Original article on Live Science.